Resting prominently on Lisa Gardner’s desk is her International Thriller Writers Award for best thriller, a ceramic giraffe, and an article about how to identify a psychopath. The ITW hardware represents the much-appreciated recognition from Gardner’s peers, while the giraffe is a gift from her daughter who understands her mother’s obsessions. As for the article on how to identify a psycho (spoiler alert: They’re everywhere), the piece is just one of the many resources this self-proclaimed research junkie will use to write such twisted psychological thrillers as her latest, CRASH & BURN. With more than twenty-two million copies of her bestselling novels sold worldwide, one might think this is starting to feel old hat for Gardner. But while she’ll concede there’s a sense of legitimacy to publishing thirty books, the journey to publication never truly gets any easier. 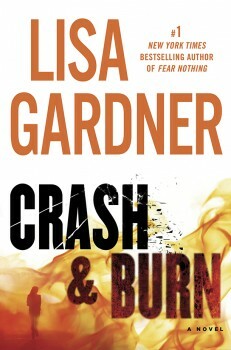 With CRASH & BURN, Gardner faced an even larger obstacle—after turning it in to her editor, she realized about a third of the manuscript would have to be scrapped. Indeed, after transitioning from romantic suspense to crime fiction, Gardner wrote and rewrote her first book in the new genre for two years. 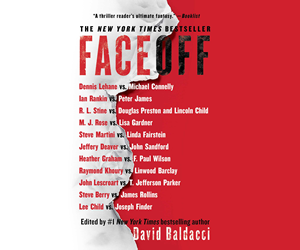 A painstakingly slow process perhaps, but with an ideal end result—The Perfect Husband was a New York Times bestseller, firmly establishing Gardner’s place in the highly-competitive thriller realm. 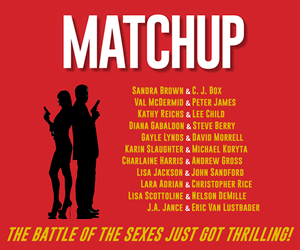 As with all of her previous titles, CRASH & BURN readers can expect to find an intricate plot peppered with high-end thrills, while still tackling the domestic hot button issues in which many of her books are rooted. 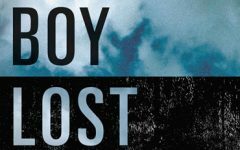 The novel features returning characters Tessa Leoni and Sergeant Wyatt Foster, who have been tasked with helping find Nicky Frank’s missing girl…a child Nicky’s husband claims doesn’t even exist. There may be some merit to his claims, though, because not even the search dogs have turned up any evidence of the missing girl. To make matters more complicated, Nicky’s husband reveals that she suffers from a rare brain injury and can’t be trusted. That exploration of fear is a common thread in Gardner’s novels, and one of the reasons she’s drawn to the genre. 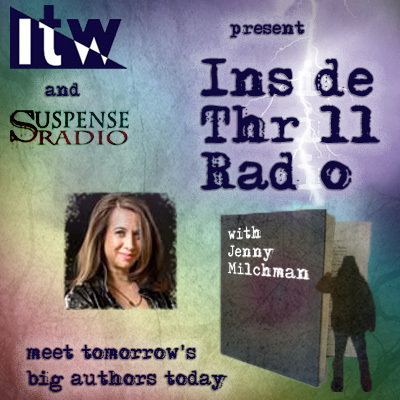 While she started her career writing romantic suspense under the pen name Alicia Scott, she’s always had an appreciation for thrillers—and, of course, a dead body. Gardner’s books do tend to go dark, but that doesn’t mean she can’t bounce back into the light. A quick scroll through Gardner’s website demonstrates her comedic side, not only with her funny Day in the Life essay, but also with her regular contest where she invites fans to nominate friends and relatives to become victims in one of her novels. Continuing in that vein, every other year Gardner also accepts nominations to immortalize a pet—which, at a charity event, often nets the larger donations, she says. But for someone who claims to be lacking in self-promotion skills, some of Gardner’s other marketing efforts suggest otherwise—not to mention demonstrate a bit of her cheeky side. 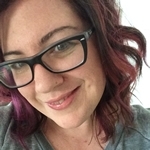 She’s a strong supporter (and avid fan) of her husband, who races cars as a hobby, and this year, the cover of CRASH & BURN will grace the hood of his CRX, which has left him questioning whether he should have more say in book titles going forward. “I suppose it is a bit ironic,” she says. In all seriousness, Gardner isn’t nervous about a real life crash and burn—professional racing is safety conscious, and a great sport for a family that clearly loves an adrenaline rush. Gardner admits, however, that her family has occasionally managed to coerce her out of her comfort zone, mostly in the name of research. For instance, she once took up boxing to understand the psychology behind getting hit and then taking a hit. Other research initiatives have included numerous prison visits, a tour of the infamous Body Farm, and continued in-depth conversations with police officers and criminal investigators. So much so, that Gardner has to impose strict time allocation deadlines for her research. With her busy book-a-year schedule, any longer than three months shaves off time for the writing. Which of course, is what her fans crave. With CRASH & BURN off to the races—literally—Gardner has settled in to next year’s project, the next in her Detective D. D. Warren series, where, the popular character will return to limited duty after recovering from an injury suffered in her previous novel, Fear Nothing. It is absolutely the book Gardner is meant to write next. 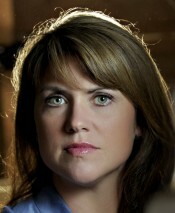 Lisa Gardner, a #1 New York Times crime thriller novelist, began her career in food service, but after catching her hair on fire numerous times, she took the hint and focused on writing instead. A self-described research junkie, her work as a research analyst for an international consulting firm parlayed her interest in police procedure, cutting edge forensics and twisted plots into a streak of internationally bestselling suspense novels. With over 22 million books in print, Lisa is published in 30 countries. Her success crosses into the small screen with four of her novels becoming movies (At the Midnight Hour; The Perfect Husband; The Survivors Club; Hide) and personal appearances on television shows (TruTV; CNN). Lisa lives in New Hampshire with her auto-racing husband and black-diamond skiing daughter. She spends her days writing in her loft with a gentle old sheltie and a wonderfully silly puppy.